The development is projected to have 120 rooms completed by the end of 2017, 90 of which will be ready for May of that year; the property is set to become the first boutique private residence club in the Riviera Nayarit. The Riviera Nayarit has positioned itself as a luxury destination in both the domestic and the international markets, which is why Vallarta Gardens Resort & Spa in La Cruz de Huanacaxtle is looking to increase its luxury offerings with the opening of The Hamptons. “We started working on the investment three years ago and today the development has become a reality—our goal is to become the best and only boutique private residence club in Bahía de Banderas and the Riviera Nayarit,” commented Jesús Carmona, Operations Director for Vallarta Gardens. The property will offer three types of accommodations, all fully furnished with top-notch luxury features. 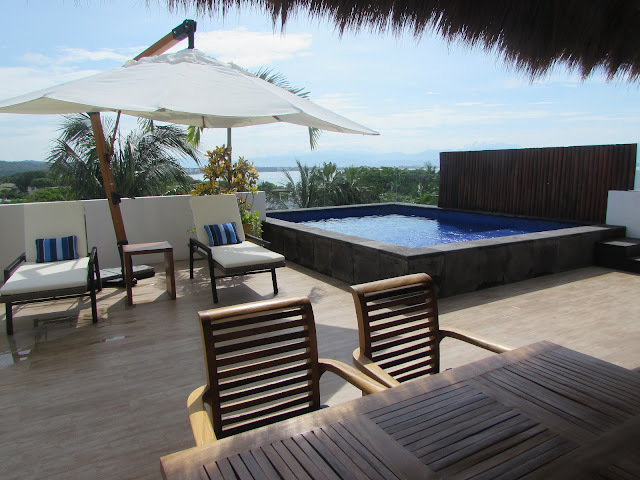 The first is the Reef Collection, a classic villa concept with private pool. There are currently seven of these with 10 more on the way. The second is The Hamptons Unit, a building with 20 one-bedroom units and studios. This project will be completed by October 15, 2016. The third unit, as yet unnamed, is a building similar to The Hamptons but with 32 accommodations that will be ready by November 2017. Both buildings will have a penthouse with enviable views of the bay. Among the pending projects is the creation of a new spa in the common area, which is projected to open by May 2017 and will be located in the heart of the development surrounded by jungle. Common areas, rest areas, pools and the beach club will continue to be remodeled. Carmona also encouraged the business sector to continue to improve on the quality of their service and customer care and to help preserve the environment; he was also proud and happy with the work done by the Hotel Association and the Riviera Nayarit Convention and Visitors Bureau.